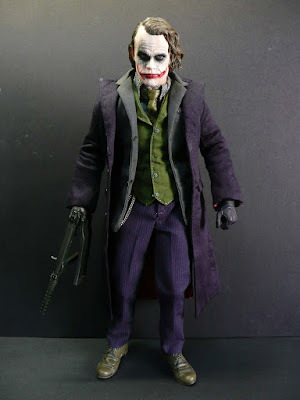 This is Hot Toys Joker (Heath Ledger) about to face Batman (Christian Bale) and his Batpod on the streets of Gotham, after Batman thwarts his attempt to kill Harvey Dent (Aaron Eckhart) and upended Joker's massive trailer truck. 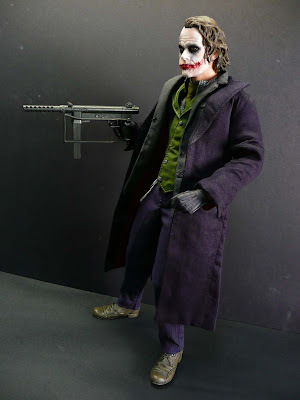 Made possible by combining two Jokers, the first Joker released by Hot Toys in his Joker outfit and the headsculpt from the second release, plus the Smith & Wesson M76, of course. Much prefer the second head sculpt to the first. 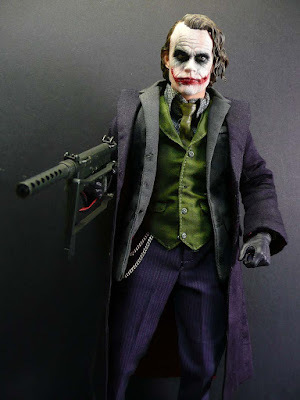 I love the Joker figures. 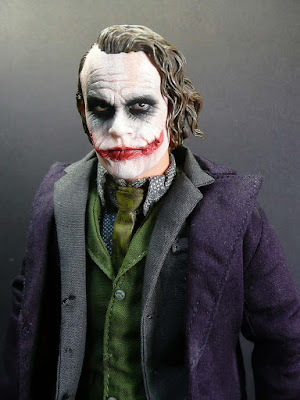 The headsculpt is so impressive you can just about picture him smacking his lips in that imitable way of his. 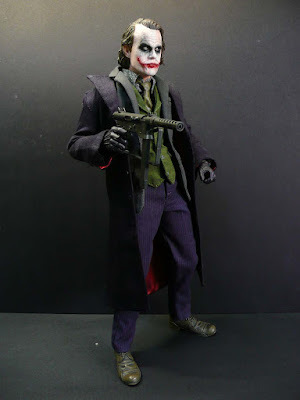 hey michelle, saw on your blog you bought the two jokers as well (don't know why but the link i put to your blog doesn't seem to work on my end :( ] GREAT choice - agree with you about the second set of sculpts. They're absolutely STUNNING!! 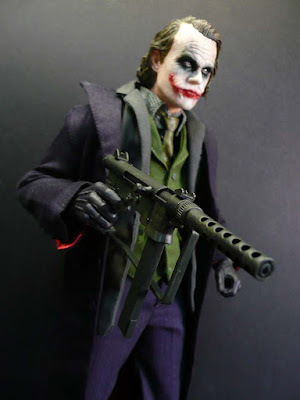 you also mentioned Tim getting Iron Man. does that mean he's now been turned to the dark side - ha! ha! The feed thing is my fault, sorry... I was such a noob with the feed thing. But it *should* work now. Hot Toys Iron Man is certainly a good enough reason as he's even better than the statue. 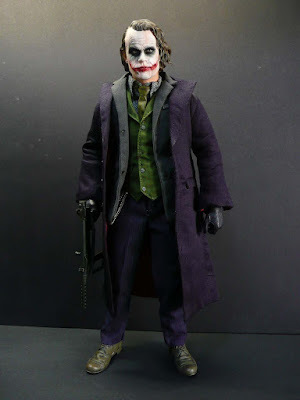 MUST GET!! 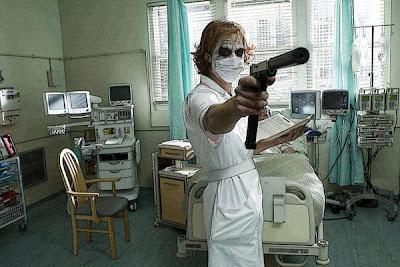 the nurse's uniform looks so funny! 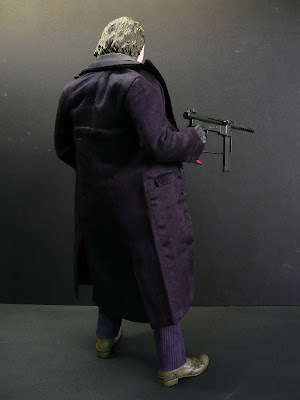 I also think that this can be made into a new version! It must be very popular as well! "Air Raid Pearl Harbor. This is no drill."